Credit Union vs. Bank: Which One is Better for Your Money? When it comes to storing your cash, you have three choices, under the mattress, a credit union, or a bank. Don’t do the first one. That leaves us with credit union vs. bank, which one is better for your money? If you’ve contemplated ditching your bank and joining a credit union, we’ll lay out the differences between the two so you can make the best decision for your money. Banks have almost always had bad press, and much of it they have earned. We all remember 2008 when they nearly collapsed the world economy or more recently, Wells Fargo underhanded little scheme that involved opening accounts without customer’s knowledge or permission. The world needs banking, but it does not need banks. After all the recent bad press, it’s not surprising that people want an alternative to traditional banks. Credit unions provide that alternative. A credit union is a non-profit money making cooperative where members can borrow from pooled deposits at lower interest rates. They exist to serve their members rather than maximize corporate profits. Credit unions range from small, volunteer-run organizations to quite large with thousands of members run by a professional board. Credit unions are started by corporations or organizations to serve their employees or members. Arkansas AM&N College Federal Credit Union is an example of a small credit union. It was started by and for the employees of the university in 1952 and serves fewer than 1,000 members made up of university employees, alumni, and their family members. The largest credit union in the U.S. is Navy Federal Credit Union with more than seven million members. It started in 1933 with just seven members! Members are made up of all Department of Defense and Coast Guard active duty, veterans, civilian and contractor employees and family members of all those groups. When you join a credit union, you become part owner just as you own part of a company when you buy its stock. Members vote to select the board of directors and for decisions that will affect the credit union. Each member has an equal vote without regard to how little or how much money he or she has in their account. Currently, about one-third of Americans belong to a credit union. 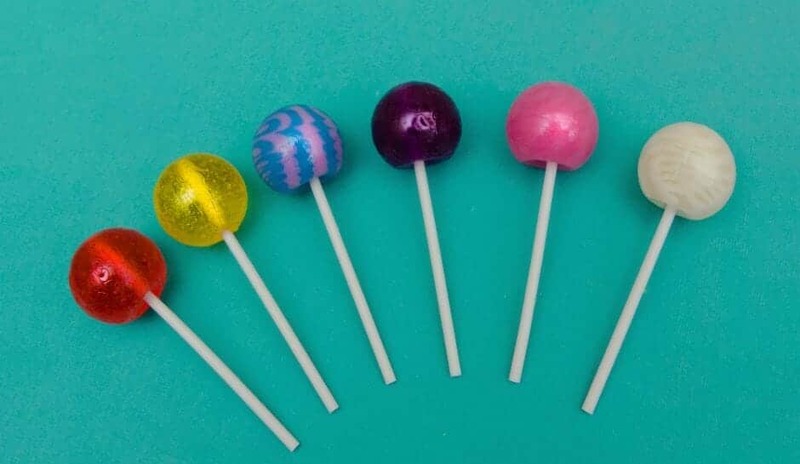 But Do They Have Lollipops? Credit unions offer the same core products that banks offer; checking and savings accounts, home, auto, and personal loans, debit cards, online bill paying, paper checks, CDs, certified and cashier’s checks, money orders, and safety deposit boxes. Investors own banks and banks have a responsibility to make money for them.. That might be through legitimate means like loaning money and earning interest or illegitimate means like opening fraudulent accounts. It can also mean earning money by charging customers outrageous fees. That isn’t illegal, but something doesn’t have to be unlawful to be ethically questionable. Credit unions exist to serve their customers/owners. Looking after the bottom line for a credit union means operating in the best interests of their customers/owners. That means that credit unions often offer better interest rates both on checking and savings accounts and on loans than do traditional banks. 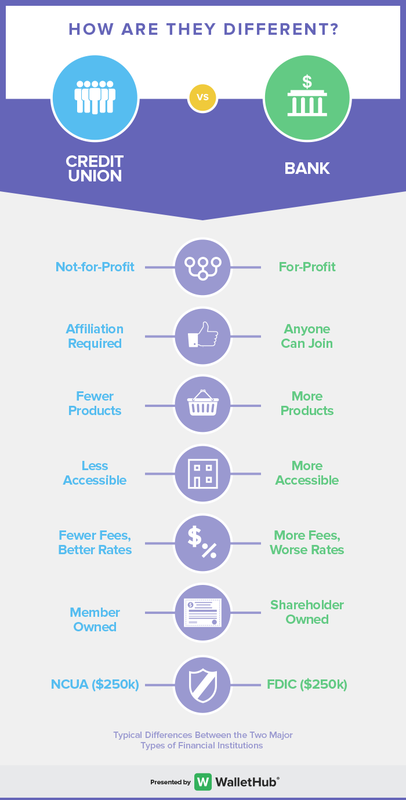 Credit unions charge fewer fees than banks, and there is often no minimum or a very low minimum to open an account. The level of customer service is higher and more personal at a credit union. If you walk into a bank needing a loan, you’re just a set of numbers. If the numbers don’t add up, you won’t get the loan. At a credit union, you can have a more personal relationship, and other things apart from a raw set of numbers can be taken into consideration. That doesn’t mean credit unions give out loans to any member who applies, but the credit union may be willing to take a risk on a long-term customer who doesn’t meet all the standard criteria for a traditional bank loan. Okay, we’ve convinced you that storing your money under the mattress is a bad idea so will your money be safe in a bank or a credit union and is one safer than the other? Banks and credit unions can both keep your money safe. If an institution goes under, some or all of your money may be insured, meaning your funds should be replaced. In most cases, your account ends up at a new institution, and you have the same account number and account balance as before. Your money is just as safe in a credit union as it is in a bank. Money kept in banks is insured by the FDIC. Federally insured credit unions offer NCUSIF insurance. Both are federal insurance backed by the U.S. government. Both offer protection up to $250,000 per account. State-chartered credit unions have private insurance which is not as safe as FDIC or NCUSIF insurance, but 98% of credit unions are federally chartered. How Do You Join a Credit Union? Can anyone join a credit union? Yes, there is a credit union out there for everyone, but not everyone can join every credit union. Membership is determined by being part of a specific community like a profession, a college, or a membership in an association or organization. Some credit unions allow membership when you join a not-for-profit organization or donate a nominal amount of money to a specific cause. If you don’t meet the qualifications to join a credit union that is local to you, you may still be able to participate and do your banking online. Alliant is one such credit union. You’re eligible to join if you live in the Chicago area (where the credit union has its main office), are an employee with an affiliated company, member of a particular organization, have a family member who is an Alliant member, or make a $10 donation to Foster Care to Success which is a charity that helps those leaving foster care transition out. If you’re worried about not having a brick and mortar location, find a credit union that participates in a shared branching network. This reciprocal agreement means members can handle in-person banking transactions at local branches of other credit unions at no cost. Okay, down to brass tacks. Head to head, what are the pros and cons of credit unions vs. banks? The pros and big ones. Yeah, they have a few. Cons in both senses of the word. It’s pretty clear that belonging to a credit union has many advantages compared to being a bank customer. This is especially true for those who have poor credit or non-traditional income. If you don’t have an excellent credit score or income from something other than a standard W2 job and want to borrow money, a credit union will be more flexible in its decision making than a bank and offer a better interest rate. If you’re someone who lives in a rural area, a credit union may not be ideal. 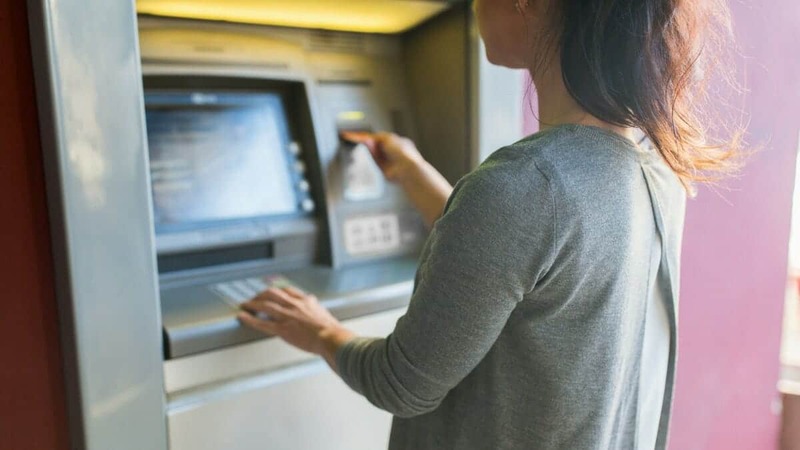 They are less likely than a big bank to offer technology-based conveniences like photo deposits and may not have any fee-free ATM partners near you. Take a look at the show notes; I included a link to help you find a credit union in your area. Morgazm Grapefruit Zested Blonde Ale: A refreshing summer beer. One Village Coffee: A local Pennsylvania roaster. My Credit Union.Gov: Find a credit union in your area and then search by criteria to join. I played around with this and found 60 near me, three of which I could join.